Apply a small amount to cleansed and toned skin. Perfect for day and/or night. Follow with recommended moisturizer and daily sunscreen. This is one of my favorite products from the COSMEDIX line. I'm quickly approaching 30, so anything that helps reduce signs of aging I'm all for! Affirm makes my skin feel so smooth and firm. I've definitely noticed a difference in my smile lines since using this as well. Obsessed! I absolutely love this serum and my followers are responding well to my feedback and are asking what I use. I think I will work well with the cosmedix brand. Great for moisture and works well on combination skin and my skin glows. I'm generally not very "into" serums as I often feel they don't do much for me- The Affirm serum was a game changer! I saw a noticeable glow in my skins appearance after just a few uses! The product is amazing, lightweight, smells nice, absorbs really fast, has been making my skin look more youthful and healthier. I use it day and noght and I've noticed a big difference. I absolutely love the serum. It is now a part of my daily routine. Since implementing serums into my regimen, I have been forever pleased. The Affirming serum is no exception. My complexion has steadily improved. Thanks Cosmedix! Another winner!! I love the smell of the product, the consistency is great and soaks right into my skin. 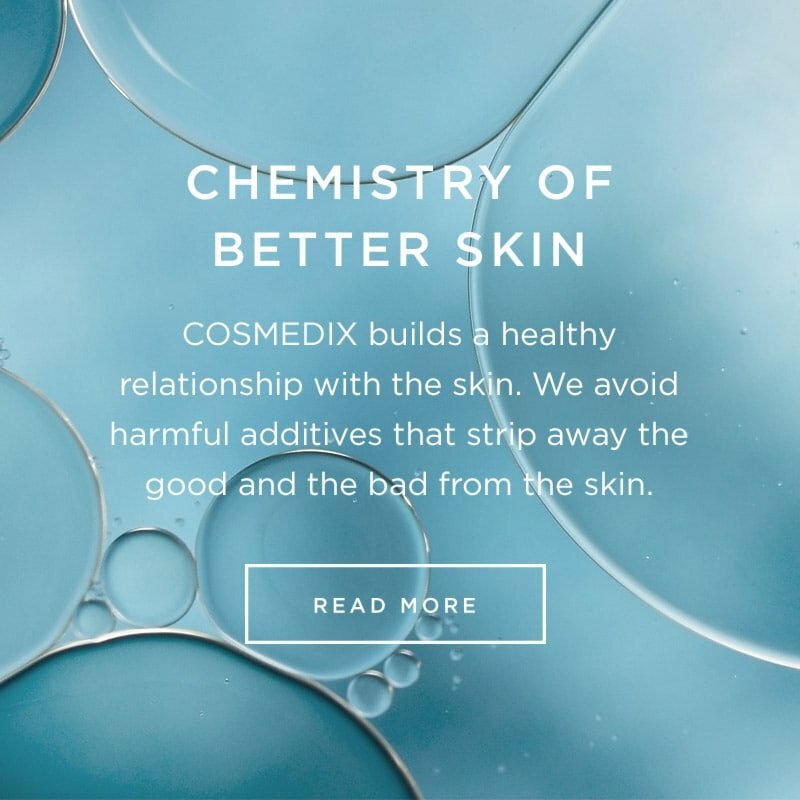 I wasn't familiar with COSMEDIX previously and absolutely love and recommend this product now. I will be purchasing more moving forward! Amazing product. It does everything advertised and more. Made my face so soft and plump after the first application! I am a huge fan of serums, but I feel like most don't have an impact on my skin. Not only did I love the feeling of this on my skin, but I was able to visibly see an impact after every use. My skin felt more hydrated, and I noticed that the lines that I worry about were not as prominent as usual. It has become a staple in my skincare routine for both day and night. I’ve really enjoyed using the affirm serum! My skin looks and feels a lot younger. Great product! Does what it claims to treat photodamaged skin with antioxidents and firms really well. I use daily in the morning after applying Benefit Balance and use Phytoharmoney after. Excellent line of skin care. I bought Affirm a few weeks ago, and I am a Cosmedix convert. The fine lines around my eye, and the general appearance of my skin is noticeably better. Be careful not too use too much, as it can end up a bit sticky, though I find that after I apply my moisturizer, any stickiness is gone. Affirm is a great product to help give your skin the boost of antioxidants it needs. I've found that it helps my skin with it's moisture levels without being greasy. It's very light on the skin and soaks in immediately. I also believe over time it has helped with the texture of my skin. I love this product, it really tightens my skin. I use it every morning. I have been using Cosmedix products for 3 years now. I had adult acne, went to dermatologist and nothing worked. I was FINALLY introduced to this line and my skin has NEVER looked better-SERIOUSLY! I use affirm every morning after mystic & the put on reflect. This product works so well, my face & neck look great!! I will be using this line forever, even got my mother who is in her 50's to start using it!!! I am a huge fan of all Cosmedix products and treatments, but my favorite product is Affirm. I have noticed a huge change for the better in the texture of my skin. It is soothing & firming and never makes me oily....plus it smells soooo good. I never want to be without Affirm! Great product! I have been using it for 2 years now and love the product! My skin looks more even and subtle.It was also reviewed on www.truthinaging.com and got excellent reviews! This product keeps skin healthy and nourished. A Wonderful find! 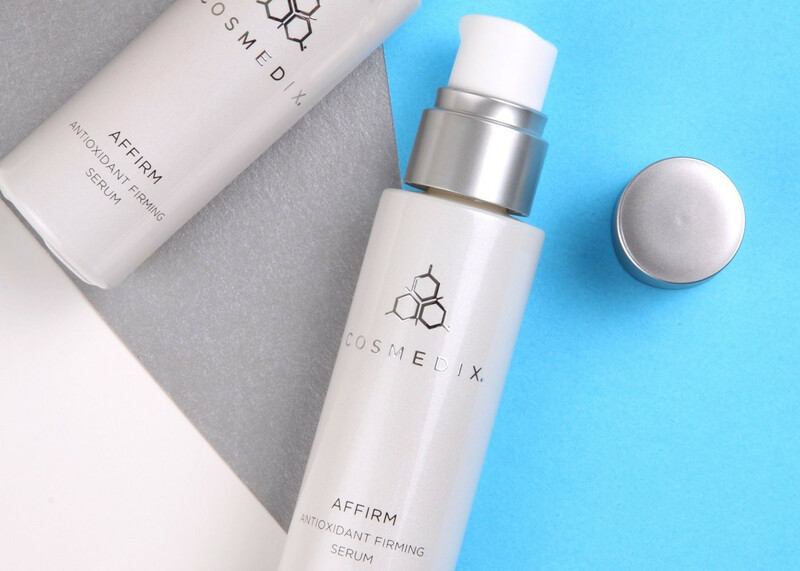 I've been using many cosmedix products and affirm is just great for Hydrating and keeping my skin amply hydrated all day.I would recommend using this product with other cosmedix products recommended by your practioner.Thank you cosmedix! I've been using Cosmedix, and Affirm in particular, for about a year. My skin craves this product. In fact, I ran out on a business trip and spent an afternoon finding a Cosmedix retailer. I highly recommend!